Grauated from the University of West Alabama in 1998. 14 years of experience in the pickens county school system. Began teaching at Lakeside Center Alternative School in 1998-2004. Taught at Carrollton Unit School 2004-2006. 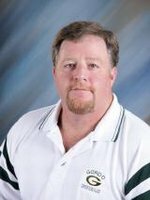 I graduated from Gordo High in 1986 and was a starter on the Gordo High state championship football team in 1985. A three sport athlete in High School, I went on to play baseball at Brewer State Community College (now Bevill State). After working in the construction industry for some time, I returned to college and earned a bachelors degree in 1998. Since returning to Gordo High, I have served as an assistant football coach. I was the head softball coach for two years. I am currently an assistant baseball coach as well. My hobbies include Hunting, Fishing, and playing golf.